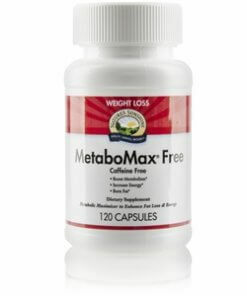 Nature’s Sunshine MetaboMax Free is a weight loss formula developed with MetaboMax Plus for those who desire a weight-management boost without caffeine. 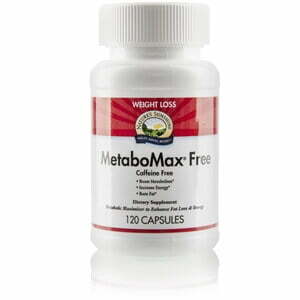 The ingredients in MetaboMax Free help increase fat burn as part of a program that includes healthy diet and exercise. This effective blend may help boost calorie expenditure, promote fat burning, increase metabolism, boost energy levels, provide beneficial antioxidants, and may have beneficial effects on already normal-range cholesterol levels. Instructions: Take 1–2 capsules three times daily with food.